Usually teams have one coach. Unfortunately, only one of these is the real coach. The other 90% are parents who have tagged themselves with an assistant coaching role and now feel the need to shout out their own instructions to the players on the court. Most of these parents do have good intentions. They sincerely believe they're helping their child's performance on the court when they're yelling out commands from their seats on the sideline. And the parents coaching from the sidelines epidemic needs to stop. Every person who attends a game can fill only one of these four roles. • If you're the coach, you coach the team. • If you're a player, you play the game. • If you're a referee, you officiate the game. • If you're a spectator, you watch the game. Sounds pretty simple, doesn't it? It's incredibly important that every person who attends a basketball game understands and respects the role that they’re required to play throughout the game. Some parents will assume that because they're the coach of their son's U16's team, they have the right to coach from the sidelines during their daughter's U12's game. Their role changes between coach and spectator depending on which game they're attending. Unfortunately, some adults feel entitled to voice their opinion from the sidelines if they have previously coached or played at a high level. But previous basketball experience doesn't change your role. 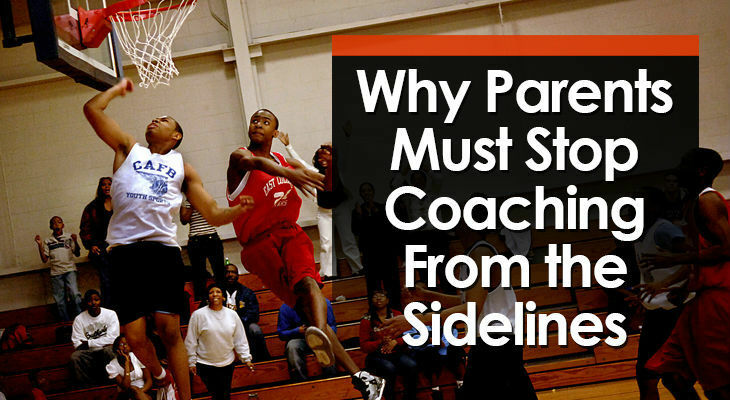 If you're not the team's coach during the current game, you still have no right to coach from the sidelines. Before the game and during timeouts, the coach will talk to the team about strategy and may give each player specific instructions to give the team the best chance of success. And then as soon as a player gets out on the court, parents start screaming out conflicting instructions that go against the team's strategy and the player's role on the team. • Who should they listen to? • Which adult do they choose to make happy? • Which adult do they choose to disappoint? Players are forced to choose. And since they don't want to get yelled at on the car ride home, most players will listen to their parents and go against the team's strategy. This will lead to poor team performance and could even lead to the player receiving less time on the court. Check out this video by Kevin Eastman where he teaches parents how difficult it is to have many different instructions being shouted at you. Learning how to make smart basketball decisions through experience is crucial for basketball development. • Which teammate to pass to. • Which pass type to use. • How hard to throw the pass. • The exact spot to pass to. When a parent screams out instructions from the sideline, they take away the learning opportunity from the player. When adults are constantly feeding players this "do this, do that" information, players can quickly start to rely on their input instead of thinking for themselves. Instead, parents should sit back and allow their child to make decisions. Which involves allowing your child to make mistakes. Each player must know that they're not going to be criticized when their decisions do result in mistakes. If a player knows they're going to be yelled at each time they commit a turnover or miss a shot, their anxiety levels will shoot through the roof. There's no way they'll be able to make decisions and then learn from their mistakes in that environment. If a coach is willing to volunteer their time to coach your son or daughter, please let them do the coaching. A parent screaming out instructions from the sideline just makes their role even more difficult than it already is. If you absolutely need to voice your opinion all game, wait a few months and put your hand up to coach the team next season. But most aren't willing to do that. • Arriving 15 minutes before practice to set up. • Spending several hours each week running practices. • Taking the time to plan out each practice. • Researching effective drills and basketball plays. • Struggling to teach players the team's offense. • Trying to remember substitutions throughout the game. Coaching youth sports takes up a large chunk of time and to do it well is much harder than it looks. Appreciate and respect those willing to devote their time and effort. There are many who decide to yell at referees, too. 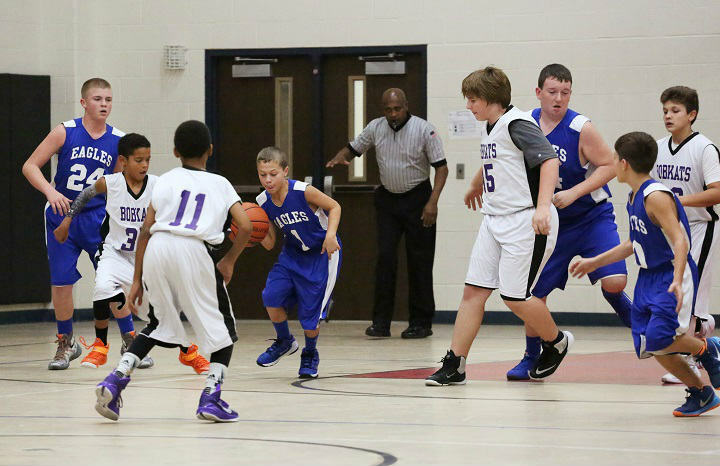 When your child notices you complaining to the referee, they'll feel like they're allowed to do the same thing. Instead, teach them to immediately move onto the next play. With a bunch of angry adults yelling in their direction, you can guarantee that the game's officiating will quickly deteriorate. Parents (and coaches) must understand that a referee will never change their decision just because you angrily let them know your opinion from the sidelines. Lead by example and keep your thoughts on the officiating inside your head. "My son's coach has no idea what he's doing!" Just like players, many coaches are still learning. 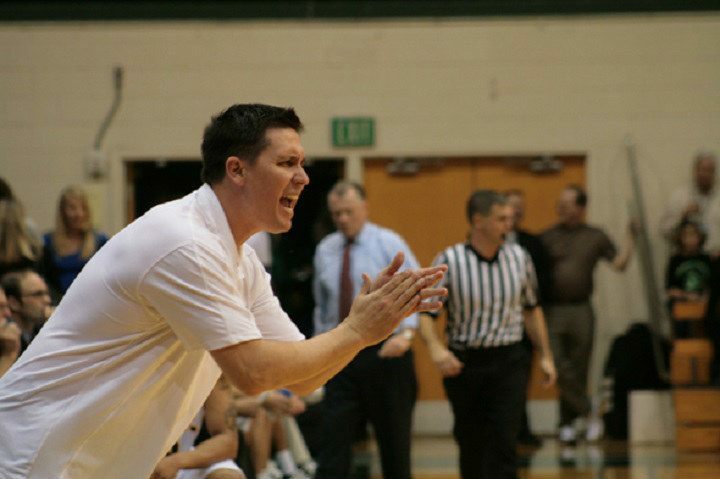 In fact, tens of thousands of parents with very little basketball background step up each season to coach simply because there's no one else to do it. Stop expecting your son's under 10's coach to be pe​rfect. Stop sitting on the sidelines shaking your head and rolling your eyes. We have to do our best to support new basketball coaches as they gain experience and develop their coaching knowledge. So, What Should Parents Do Instead? Watch the game and encourage the players on the court. Watching the game is self explanatory and doesn’t require further explanation. Yelling out to any of the players or referees. It means enjoying the game and occasionally clapping and cheering for the team. Here’s a rule of thumb to remember…. As soon as you stand out from the crowd, you’re doing something wrong. When parents are yelling out from the sidelines, they're making each player's youth sporting experience less enjoyable. 99% of youth sports parents are fantastic. Personally, I’ve had very little problems with any of my team’s parents in the past and I’m very thankful and appreciative of that. But, as with every sport, there are a few bad eggs amongst the parents who need to read this. Parents who continually confuse their child with unnecessary coaching advice, embarrass their child with over-celebrating or complaining, and even parents who slow down their child’s basketball development by making them nervous about committing a mistake. Parents need to take a step back and do a better job of understanding their role. Your kids aren’t going to be playing youth sports forever. Sit back, enjoy the game, and let the coaches do the coaching.